You'd think after eating so many different things, I wouldn't go back to a tourist trap of sorts right? 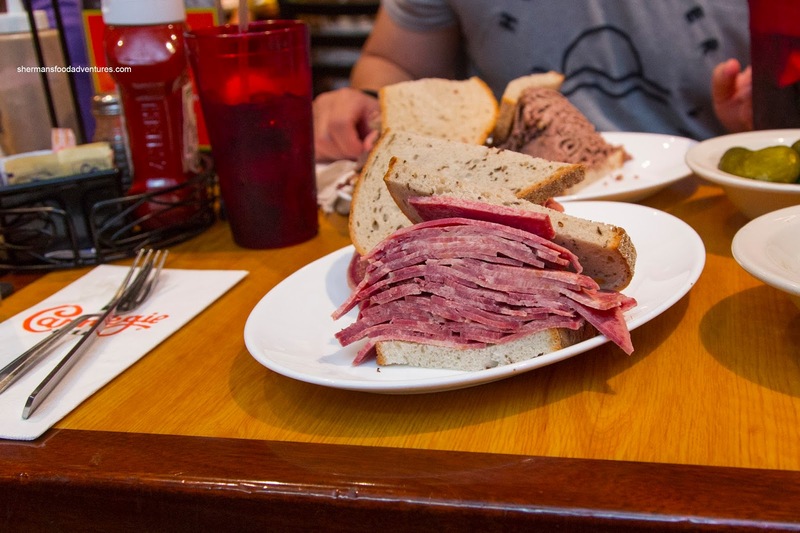 Well, there were 2 reasons we made our way back to Carnegie Deli on our recent visit to NYC. First, we were travelling with Elaine and Costanza (yes, we visited Tom's Restaurant too...) and they've never been to the place before. Second, I never blogged about it. 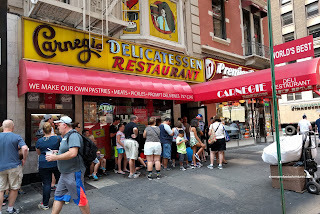 This visit almost never happened because Carnegie Deli was closed for a year due to the "gas stealing" fiasco. In fact, Carnegie is scheduled to close at the end of this year, for good. Just like last time, we waited stupidly in line for about an hour to pay large amounts of money for sandwiches with far too much meat in them. 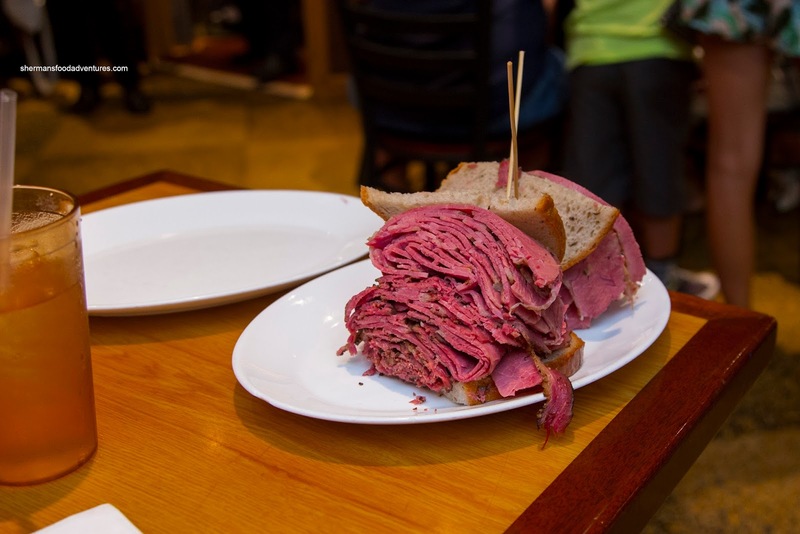 Yup, we had the Woody Allen again with equal portions of corned beef and pastrami. However, it seemed smaller than we remembered it. Don't get me wrong, it was still a lot of meat! 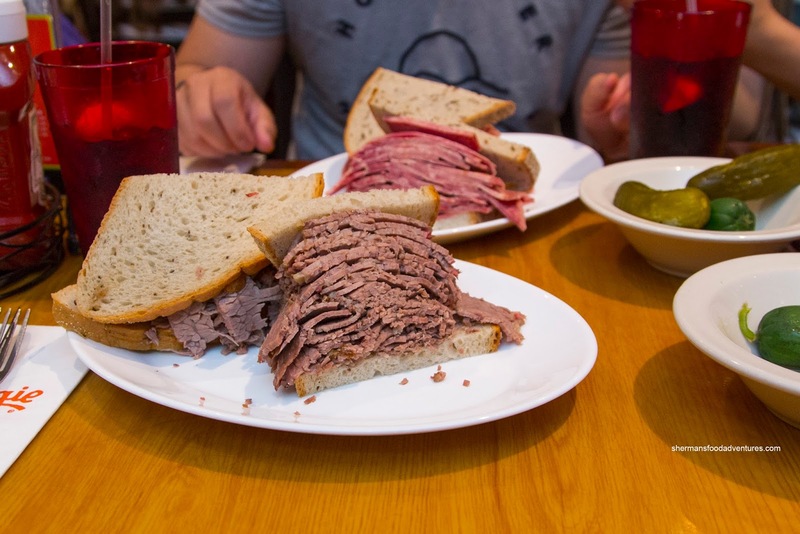 I liked the pastrami more as it was buttery and nicely peppery on the outside. The corned beef was pretty dry and rather bland. Was the sammie worth $29.99? Certainly not, but I guess it is the touristy thing to do. To relive every moment, I once again, got a Tongue Sandwich (no, not from Viv... LOL) and it was good. The slices of tongue were tender and buttery with a nice rebound. It was also well-salted also (and went well with the mustard). To round out the meat sammies, we got the Beef Brisket which was definitely meaty. However, we found it to be incredibly dry and bland. Sure, that is what the mustard was for and it certainly made a difference. This was our least preferred of the sammies. 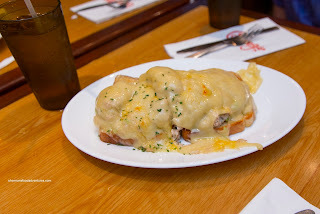 My daughter went for the Tuna Melt and nearly dusted off one of the 2 really enormous mounds. The tuna was lightly dressed, hence it was on the drier side. However, that also meant it wasn't overly wet nor greasy. There was a considerable amount of melted cheese on top which added the necessary flavour as the tuna itself was rather plain. For my son, he just had to get something boring like the Burger with American cheese. Nothing really interesting, but decent nonetheless. The burger patty was large and fairly moist while nicely seared on the outside. 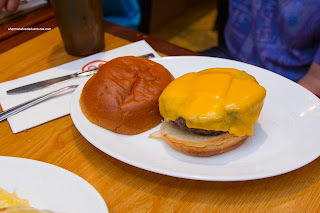 There was enough melted cheese on top to hide the entire patty. Costanza's youngest son went for his standby being the Mac n' Cheese. 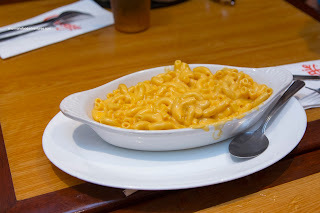 It was actually not bad being creamy and Velvetta-like. The pasta was not overdone, but again, nothing to write home about either. For dessert, we once again got a slice of NY-Style Cheesecake with strawberries. I can see how many people wouldn't like this as it was super heavy and rich. 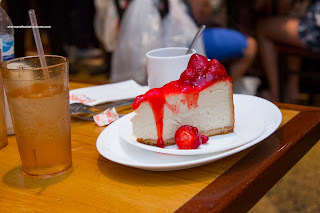 For me, this was just right since a cheesecake is not a cheesecake unless every bite is cheesy, rich, creamy and thick. 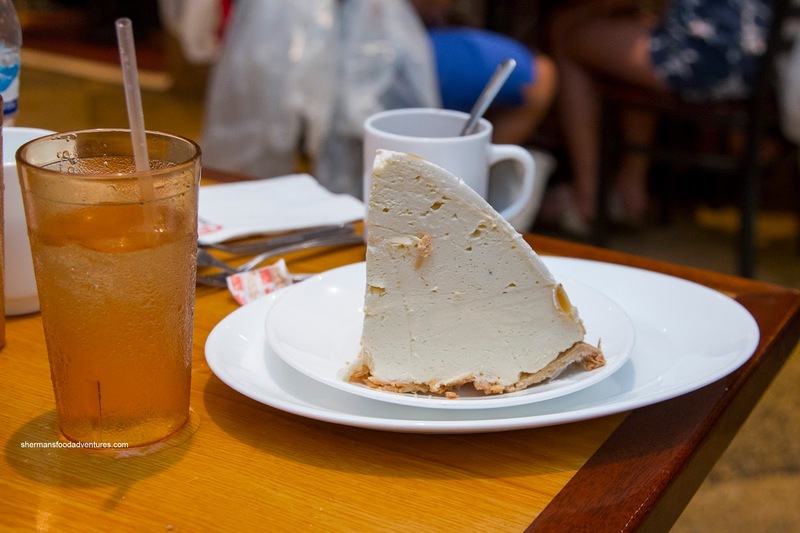 Since Costanza likes his desserts lighter, he got the Banana Cream Pie. I'm not sure if this was exactly less rich, but it certainly was airier and creamy. I thought it was okay, but nothing particularly special. Sadly, Carnegie is really a tourist trap and I've had better deli-meat sandwiches elsewhere. It's sad to see it go, but at the same time, not really either.